As a proud Democrat, I was elected to represent St. Albans in the Vermont state legislature for six years, and after that I served as mayor of St. Albans for four years. 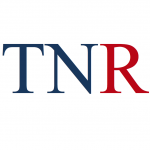 This year I am running for the legislature again … but as a Republican. But, this is the agenda of the Progressives, and they have hijacked the Vermont Democratic Party as part of their plan to these policies into effect. Sadly, they have been very successful, but not to the benefit of our state or its people. I have too many friends and family who have had to leave Vermont because our state policies, under this Progressive agenda masquerading under the Democratic banner, have simply become too hostile for working class people to survive. Jim Fitzgerald is a former Democratic representative from St. Albans and St. Albans mayor. He is running for the Vermont House again as a Republican. Solzenitzen spoke against the Marxists,, and the Leninists,,, and see what it got him. Fortunately we can still speak out here against the Digger MarxoSocialists and the groupthinkers who want it all for free. #walkaway comes to VT…ya won’t see this at VT digger or Green Mountain Daily. WOW. Thank you Jim. Welcome to the other side. I was wondering if there were any Dems left. Your party is a wisp of its former self. The Progs have dominated the party and continue to stick it to Vermont taxpayers every chance they get. This past session, with all the hoopla over income surtaxes and property tax rates clouding the halls of Montpelier, they managed to sneak through an INCOME TAX INCREASE (as much as 11% according to JFO) and can’t own up to it. I bet half of those who voted for it don’t even know this. No Republican voted for it. I hope you win and work to stop this madness. Jim Fitzgerald, I saw what you are finally getting sick of seeing 25-30 years ago. The voter have let this happen. Vermont digger forgot to post this. That “publication” should lose its non profit status, after all, it’s a left wing political organization. Vermont Digger is very selective in their publication & editorial decisions. 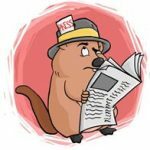 Vermont Digger is an extremely Leftist, Regressive tabloid far from actual local news as shown by their refusal to publish pro Constitution pro American Patriotic stories & news. 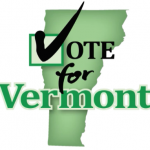 Their bias is shown by Vermont Diggers bias by even refusing to run ads for money from select populations of Vermonters!! How did it get non profit status anyway, and who is funding them? When the selection always points in one direction, some of us would call that propaganda and censorship. Many people have been limited, removed and banned not due to aggressive, untasteful or untrue commentary, but because it did not fit the profile. Personally been censored 100’s of times. We could predict it, a really good counter argument often was removed/lost, what every you like to call it. Matt has experienced this too. Many, many others. If there was a story done on this it would be an epic ground breaking story. We’ve submitted the proof to many sources, but guess what? Nobody is willing to print it. You can see a couple examples on Citizen Reports, but no mains stream Vermont source will investigate. Would not believe it if I hadn’t experienced it myself, and then have others tell me the very same thing. P.S. Ironically I’m spelling Gr33n Mountain party this way, because if I print it normally my post will not come up. You’re exactly right Neal, I was permanently banned from the far left political puppet digger after I called out one of their cash contributors over a hypocritical post. Looks like more and more readers are enjoying true north, I guess folks like news more than paid political ads. Ps. Would love to hear from others banned and censored by the far left digger. Thank you Mr Fitzgerald, the takeover of Vermont by these left wing extremists has been very harmful to our once proud state and its people. The left is owned by the big public education monopoly, environmental extremist and other groups looking for a free lunch. Good luck to you sir and thank you for having the courage to say, enough. The lobbyists have much sway on keeping people in line along with the DNC, it’s massive control. We are getting solicitations for PAC money if we agree 100% with their questionnaire, Planned Parenthood was the latest. We couldn’t be in more agreement, parenthood needs to be planned! How are you going to pay for this child is a serious consideration, along with a stable family. According to them 50% of pregnancies are unplanned, that is a horrific statement, clearly their plan is NOT working. Yet, while in total agreement with their goals, I scored 0%, we also started off the survey telling them PAC money is evil and we want nothing to do with any PAC money. Brainwashing and propaganda is almost complete in the “socialist utopia” circles. 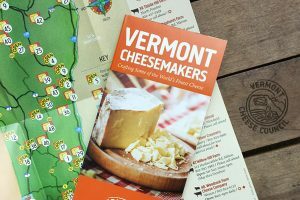 Our Vermont issue is why we started the Gr33n Mountain Party. And yes the censor ship is MASSIVE in Vermont. Neil Johnson, Candidate for Washington House-7, Gr33n Mountain Party. I hope you are a beacon for those who need that extra push to realize they do not have to accept the dem/progressive agenda that is being push on us. I to have lost friends and family to other states because they can not make it here. Vermont was never easy, sometimes as farmers or Inn keepers work more then one job to make it and we were happy and did not complain. It is so disappointing to see what these progressives have done to this state. This is good news, the people who want to stay here need some help. they need to be able to work and support themselves and their families. You cannot possibly be engaging in critical thought and the pursuit of fact and truth, and still vote for the cadre of incompetent, impetuous, imbecilic democrats that populate and pollute our state government. If you vote for these same dunces time and again and you cannot figure out why the Vermont economy is in the toilet, taxes are through the roof, and our educated young are fleeing the state as if it was a burning building, you will locate the problem by looking in the mirror. Thank you and good luck on your campaign! I’m glad someone has the good sense to recognize what the Democratic Party has become. I will be happy to vote for you and god help us if you don’t get the vote. Consider becoming a Libertarian. You get to keep liberal, empowering social values without the fiscal irresponsibility of the Progressives. Jim Fitzgerald, you are to be commended. You can see that the Democratic Party of old is no longer !! The new day Socialist Democrats have tainted your party with there agenda, they could care less about Vermont or the Country, they only care about there agenda. So welcome to the GOP, I hope your constituents listen and follow you to make Vermont the Vermont we use to know. If we wanted New York or Massachusetts politics, that’s where we would be living. Amen CHenry & Welcome Aboard Mr Fitzgerald the train back to Small Govt, Honoring our Law Enforcement current Military & Combat Veterans, Patriotism, Individual Freedoms, Rights, and Responsibilities! !